How to mourn the death of an author you never read. The hill was alive with the sound of the grave digger’s shovel. I was looking for a grave. In the next hill perhaps? It was dug yesterday. For Qurratulain Hyder. 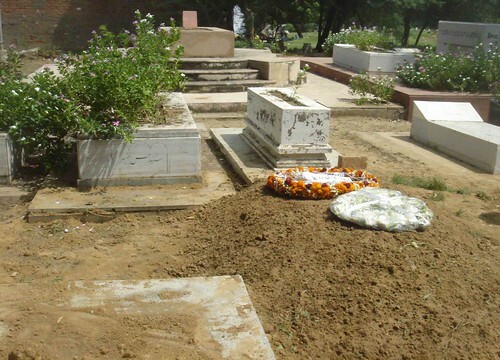 She was an Urdu writer who died on August 21, following a prolonged lung ailment, in a hospital in NOIDA, a Delhi suburb. I have never read Ms. Hyder. 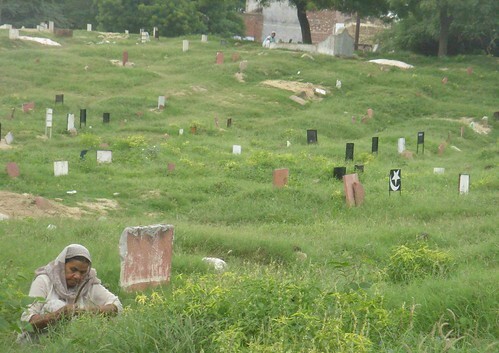 Yet I came here in Jamia Nagar’s Muslim graveyard to express my sadness at her passing away. With me was a cutting from today’s Times of India. Folded between the pages of an Alice Munro hardbound which I was carrying, it was a 15*9 mm column on Page 2. 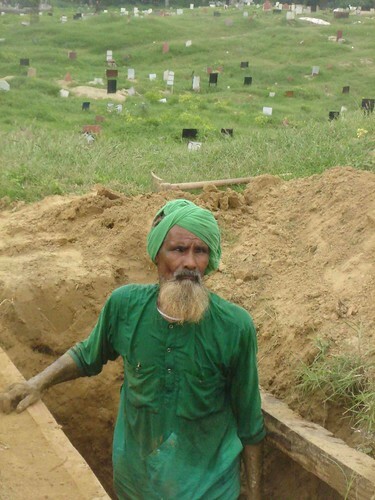 An old bearded man in a green kaftan was digging a grave. Could he direct me to where a woman was buried yesterday? An author whose body must have come from NOIDA – I explained to him. Her hair was short; I added hopefully. The man’s empty eyes stared back. I moved my gaze to the surrounding hillocks. Would Ms. Hyder be somewhere there? Wanting to feel a fellow writer’s camaraderie for her, I walked down the hill, stumbled over discarded graves, overgrown grass, hidden hollows, small boulders, and walked up another hill. Two boys were flying kites. 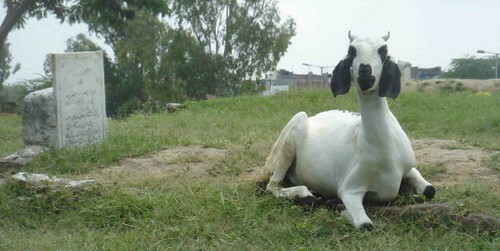 Goats scampered around the tombs – no tombstones; merely partially-raised mud platforms. Reaching the top, I sat under a neem tree, and took out the newspaper cutting from the Alice Munro. 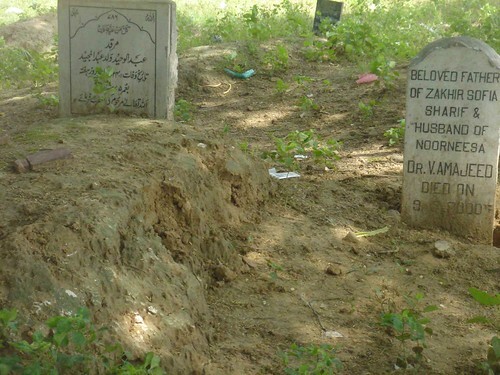 When this great figure of Urdu literature took her last breath, she had no friend or relative with her in the hospital. Her neighbors in Sector 21, where she had been living alone since many years, had no inkling of having close proximity to such a celebrated writer. Hyder had never married. Called “Aainie Aapa” by friends and admirers (where are they? ), Hyder’s most famous work is Aag Ka Darya, a magnum opus which explores India’s history from the fourth century BC to the subcontinent’s partition. Like many contemporaries, Hyder too crossed the border during partition. But the feminist and democrat in her felt uncomfortable in Pakistan. She returned to India in the 1950s, and went on to work in the Illustrated Weekly of India. For a moment, I looked up, up at the sky. A crow was flying high. Despite being reserved and even moody, Hyder was not an intellectual snob. “She didn’t appear at all as the high-priestess of Urdu fiction,” Urdu journalist Mehmood Ayubi recalls. Taking a handful of mud from Hyder’s grave, I clutched it in my hands as it escaped. The newspaper cutting, lying on the ground, blew away with the breeze. I could not feel sentimental, as I had hoped. My thoughts went to my reading life. How fortunate to feel at home with England’s Jane Austen, America’s Maya Angelou, and Canada’s Margaret Atwood. These are places I have never visited; cultures I have never encountered. Yet, they are so familiar. But how did I fail to read this author who belonged to the land I was born in? 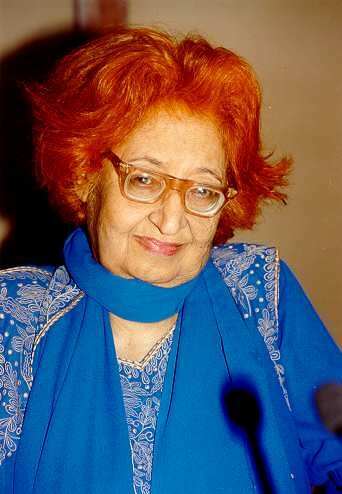 Ms. Hyder was, like me, from Uttar Pradesh. We probably ate the same arhar daal, smelled the same heeng and ate the same rotis. Both of us were of the same mitti. Now she is dead and I haven’t read her yet. I should be in mourning. It’s my loss. a very nice piece…the fact that though you found yourself at her grave, your connection to her was that newspaper cutting. perhaps it flew away so you could begin to discover other connections.i found myself nodding in agreement at references to the english, american and other writers that one feels so ‘connected’ to and those from our land whom one can’t even begin to mourn for. 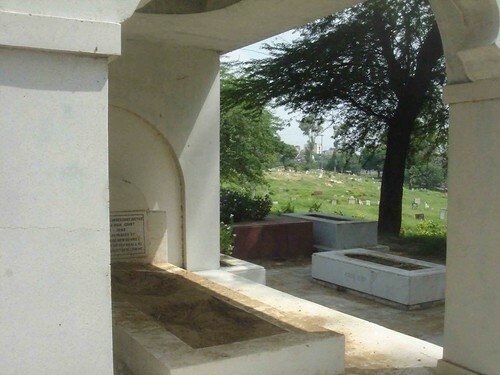 Madame Hyder scribbled in Urdu;I can’t read it, how about you?Was it a <>writer<> or a ‘<>celebrity<>‘Whose grave in Delhi you went to see,If the latter, why boo-hoo? I plan to ready her. I hope I shall be able to read her in original Urdu, in Urdu letters.